A handy guide for booksellers and book collectors offering practical advice on how to improve the quality and look of your books and ephemera. Finally a book on book repair for the rest of us. Clear, easy to follow directions for repairing books at home or in the shop. Includes torn pages, shaken spines, library pockets, bookplates, stickers, crayon, writing, insects, leather care and much more. The Ultimate Bug Out Bag for Pets Evacuating with Pets, Short-­term and Zombie Apocalypse! This extended article (8K word) is a comprehensive reference, covering the complete emergency supply list for all your pets: dogs, cats, and other small household pets. It includes a full checklists of materials and product recommendations for First Aid Kits and Bug Out Bags. • Save your pocket change but don’t count it! just bring it to the bank when you go and put it in your savings account. • Learn how to make craft cocktails at home, save money and impress your . 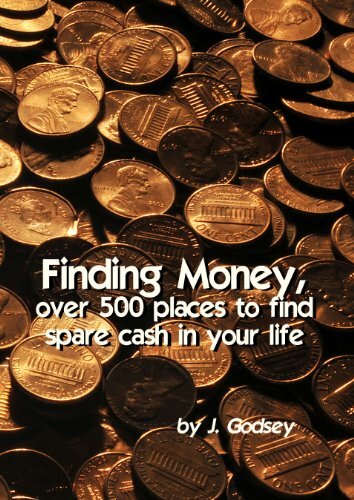 . .
A super-­compendium of money-­saving and money earning tips that are often overlooked. Tips for household, office, family and personal money saving in today's depressed economy. Some are your basic 'whack on the side of the head', other suggestions are best practices for couponing, pet, home and car care. (12K word article)Contents: Personal Advice • Dealing with Friends and Family • Clothing • Reading Material • Viewing Material • Entertainment • Eating In • Eating Out • Health • Food Shopping • Food Storage • Cooking • Couponing • Non-­Food • Baby • Fix things • Climate Control • Electricity • Water • Laundry • Yard • Communication & Data • Devices • Financial • Transportation • Traveling • Pets • Reduce Recycle and Reuse • Decluttering • How to Earn a Little MoreSamples:­• Save your pocket change but don’t count it! just brinug it to the bank when you go and put it in your savings account.­• Learn how to make craft cocktails at home, save money and impress your friends.­• Have a . . .